As we go about our daily lives in the manner we usually do, some bodily annoyances may come up along the way. Gas, for example, can be quite embarrassing, especially when you’re in public. The most easiest and quickest way of ridding yourself of gas is opening your other end. While burping may be less gross, it’s still frowned upon in today’s world and is deemed undesirable by most. However, sometimes these things manage to slip through and just happen. Hiccups is another good example of bodily annoyances. They can go on for minutes, and sometimes, even hours. There are ways to cut out the duration of hiccups and get rid of them completely. You’ve probably heard about this method many times. Try holding your breath for 10-20 seconds standing up. If it doesn’t work standing up, then try lying down and holding your breath again. 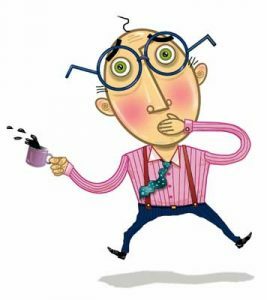 Swallowing air is one of the ingredients for hiccups. Burping will help release that air. It’s said that a spoonful of sugar helps eliminate hiccups. Try a loaded spoon of any kind of sugar you can get your hands on. You may alternatively try honey. Ever seen or heard of people take an empty brown paper bag, encircle their mouths with the open end of it, and breathe into the bag? There’s a good chance that they were having a panic attack. A brown bag can actually be used to get rid of hiccups as well, since it calms the victim down and soothes breathing. You may also try to drink ice cold water. Just try not to swallow air. If none of the listed tips help, then have a doctor check you out. They may be able to provide further assistance.